Our way of life is far more vulnerable than most people would ever dare to imagine. A single major catastrophe could fundamentally alter all of our lives at any moment. Scientists have calculated that 2014 UR116 asteroid will fly in dangerous proximity to Earth every three years. If it collides with the planet the energy of the explosion could be a thousand times greater than the impact of the Chelyabinsk meteorite. Vladimir Lipunov, a leading scientist on the team which discovered the asteroid this October, says the scientists now know its orbit and its period which is 3 years, but they cannot say precisely when the asteroid will approach the Earth. “We should track it constantly. Because if we have a single mistake, there will be a catastrophe. The consequences can be very serious,” he said in the documentary “Asteroids attack” posted on Roscosmos website. In case you were wondering, yes, that would be absolutely catastrophic. Could the machines one day rise up and take over? Humanity may have already created its own nemesis, Professor Stephen Hawking warned last week. The Cambridge University physicist claimed that new developments in the field of artificial intelligence (AI) mean that within a few decades, computers thousands of times more powerful than in existence today may decide to usurp their creators and effectively end humanity’s 100,000-year dominance of Earth. This Terminator scenario is taken seriously by many scientists and technologists. Before Prof. Hawking made his remarks, Elon Musk, the genius behind the Tesla electric car and PayPal, had stated that “with artificial intelligence, we are summoning the demon,” comparing it unfavourably with nuclear war as the most potent threat to humanity’s existence. Ebola has kind of fallen out of the news in the United States, but the virus is still spreading like wildfire over in Sierra Leone. But of potentially even greater concern is what could happen if someone started releasing a weaponized form of Ebola, Smallpox or the Marburg virus in our major cities. A bioweapon can be a brutally efficient killer. It spreads silently and invisibly, and a full-blown pandemic could ultimately kill hundreds of millions of people. And every single day, our ability to manipulate these bugs grows. Many believe that it is only a matter of time before these types of weapons are used as instruments of terror. When that era arrives, all of our lives will change forever. This is one that most Americans greatly underestimate. Even though tensions with Russia are extremely high, most of us just assume that “the Cold War is over” and that a nuclear war is virtually impossible. Unfortunately, that is not even close to the truth. Back in 1967, the U.S. military possessed more than 31,000 strategic nuclear warheads. Now, we only have 1,642 deployed, and that number is scheduled to be further reduced to about 1,500. Sadly, reducing the size of our nuclear arsenal by close to 95 percent is not enough for anti-nuke crusader Barack Obama. He has spoken of unilaterally reducing the size of our strategic nuclear arsenal down to just 300 warheads. During this same time period, the Russians have been developing some very impressive stealth delivery systems which have the capability of hitting targets inside the United States within just minutes of an order being issued. This is particularly true of their submarine-launched missiles. The newest Russian subs have the ability to approach our coastlines without us even knowing that they are there. If the Russians came to the conclusion that war with the United States was unavoidable, an overwhelming first strike using submarine-based missiles could potentially take out nearly our entire arsenal before we even knew what hit us. And if the Russians have an anti-ballistic missile system that can intercept the limited number of rockets that we can launch in return, they may be able to escape relatively unscathed. In order for “mutually assured destruction” to work, we have to see the Russian missiles coming and have enough time to order a launch of our own. Thank to emerging technologies, the balance of power has fundamentally shifted. The old way of thinking simply does not apply anymore and the Russians understand this. Michael Hanlon considers this one to have a “very low” probability, and I concur. Although our ability to destroy ourselves is growing by leaps and bounds, I believe that any disaster involving the Large Hadron Collider would be a localized event. But as we continue to try to “play God” and build machines like this, we potentially open up gateways and expose ourselves to dangers beyond anything that most of us ever imagined. So could God step in and alter the course of history? Well, it has certainly happened before, and many are convinced that it will happen again. Many Christians believe (myself included) that we are moving into the period of time that the Bible refers to as “the last days”. According to the Scriptures, there has never been a time as horrible as the last days will be, and there never will be a time like it afterwards. Of course the Bible also says that “the last days” will not be the end of the world. But it will be the end of the world as we know it. There are a lot of people out there that believe that global warming caused by human activity is the greatest threat that humanity is currently facing. I am not one of those people. The climate has always been changing, and it will always be changing. And the amount of carbon dioxide and other “greenhouse gases” produced by human activity is a negligible percentage of the total. In addition, scientists tell us that there were times in the history of this planet when carbon dioxide levels were far, far greater than they were today. So even if we were to move back in that direction substantially, it would certainly not mean the end of our planet. However, that doesn’t mean that we are not going to see tremendous changes in our weather in the years ahead. The primary driver of climate change, the sun, is behaving very strangely right now. If it continues to behave erratically, that could cause dramatic climate shifts. In addition, the increase in seismic activity that we have been witnessing all over the planet could also greatly affect our climate. Volcanic ash can have a tremendous cooling impact on global weather patterns, and volcanoes that erupt on the ocean floor could potentially cause ocean temperatures to rise substantially. Scientists tell us that if ocean temperatures were to rise far enough, we could see billions of fish dying. If such an event were to occur, a global famine would not be too far behind. The “wonder drugs” that we have been using since the middle of the last century are rapidly losing their effectiveness, and medical authorities are warning that the emergence of very powerful antibiotic-resistant superbugs represents “one of the gravest threats in the history of medicine“. Of course the “wonder drugs” that I am talking about are known today as antibiotics. These drugs attack bacteria, and when they first began to be developed back in the 1950s and 1960s they were hailed as “miracles” that would save countless numbers of lives. Well, it turns out that nature is having the last laugh. All over the planet bacteria are developing resistance to these drugs, and scientists are warning that they can’t really do anything to stop these superbugs. With each passing year these superbugs are gaining ground, and there appears to be not much hope on the horizon of being able to fight them. In fact, no new classes of antibiotics have been invented since 1987, and none are being developed right now. Meanwhile, scientists are telling us that many current antibiotic treatments will be completely obsolete by the year 2030. Are you starting to understand why so many high profile members of the scientific community are using the words “catastrophic threat” to describe this crisis? Did you see what just happened to Sony? It is probably the most embarrassing and financially damaging incident in company history. Of course the North Koreans are denying that they were behind the attack, but there is a good chance that they were. Sadly, this could just be a preview of what is coming. For example, what would happen if a cyberattack took down all of our major banks? What would we do? Wall Street banks are getting hit by cyber attacks every single minute of every single day. It is a massive onslaught that is not highly publicized because the bankers do not want to alarm the public. But as you will see below, one big Wall Street bank is spending 250 million dollars a year just by themselves to combat this growing problem. The truth is that our financial system is not nearly as stable as most Americans think that it is. We have become more dependent on technology than ever before, and that comes with a potentially huge downside. The Fukushima nuclear disaster showed all of us how a single natural disaster can absolutely cripple a nuclear reactor. And of course things are still not under control at Fukushima. It is already the greatest nuclear disaster in human history, and it is still releasing even more nuclear material into the environment every single day. Internal radiation, on the other hand, emanates from radioactive elements which enter the body by inhalation, ingestion, or skin absorption. Hazardous radionuclides such as iodine-131, caesium 137, and other isotopes currently being released in the sea and air around Fukushima bio-concentrate at each step of various food chains (for example into algae, crustaceans, small fish, bigger fish, then humans; or soil, grass, cow’s meat and milk, then humans). After they enter the body, these elements – called internal emitters – migrate to specific organs such as the thyroid, liver, bone, and brain, where they continuously irradiate small volumes of cells with high doses of alpha, beta and/or gamma radiation, and over many years, can induce uncontrolled cell replication – that is, cancer. Further, many of the nuclides remain radioactive in the environment for generations, and ultimately will cause increased incidences of cancer and genetic diseases over time. So what happens one day when a catastrophic natural disaster in the United States or elsewhere in the world causes several “Fukushimas” at the same time? Around the globe, there are some volcanoes that are so absolutely massive in size that they are referred to as “supervolcanoes”. #1 A full-scale eruption of Yellowstone could be up to 1,000 times more powerful than the eruption of Mount St. Helens in 1980. This last one that I have added to the list is one of the least understood. A giant electromagnetic pulse from the sun has the potential to fry much of the technology that we have become so dependent upon. How would you survive in a world where nobody has electricity, the Internet has been fried, the financial system is offline indefinitely, nobody can make any phone calls and virtually all commerce across the entire country has been brought to a complete standstill? A massive EMP blast has the potential to send all of us back to the 18th century in a single instant. And just two years ago there was a “near miss” that almost got us. So don’t think that it can’t happen. In fact, experts tell us that it is only a matter of time before it does. According to Peter Vincent Pry, who advises Congress on homeland security issues, a large enough geomagnetic solar storm could produce effects similar to an electromagnetic pulse (EMP) generated by a nuclear weapon that “could collapse power grids everywhere on the planet and destroy EHV (extra high voltage) transformers and other electronic systems that would require years to repair or replace.” While the danger posed by a G5 solar storm gets mentioned occasionally at Congressional hearings, there really hasn’t been any major action. 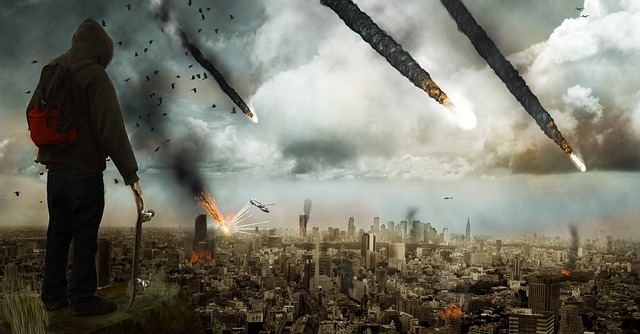 Earlier this year, a Homeland Security adviser said America is not ready for an EMP attack, never mind a G5 solar storm, and it’s claimed that the U.S. power grid fails more often than any other in the world. If a large enough solar storm does impact the United States, the damaged electronic systems can cause a cascade of failures throughout the broader infrastructure, including banking systems, energy systems, transportation systems, food production and delivery systems, water systems, emergency services, and even the internet, so people may not even realize at first what has happened. Effectively, the U.S. would be thrown back to the pre-industrial age following a solar superstorm, and yet we are not prepared for the worst. Are there any additional potential disasters that you would add to this list?